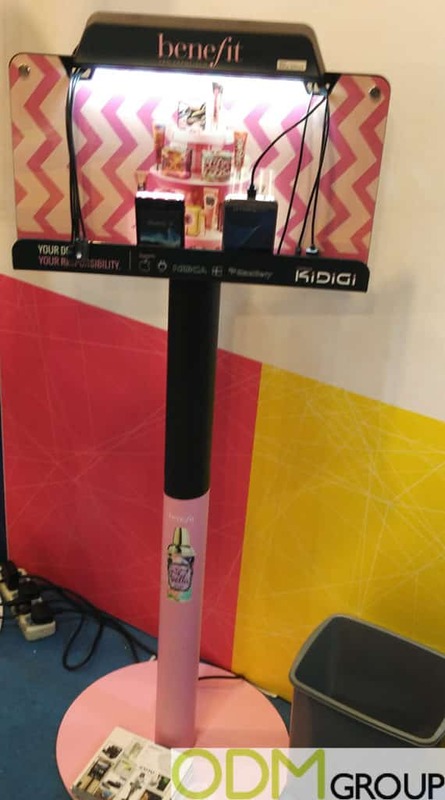 The smartphone addiction allows product designers and brand managers to use it to clap customer’s eyes on this promo stand. Consumers can be charging their phone and will see your logo in front of themselves and the same time. 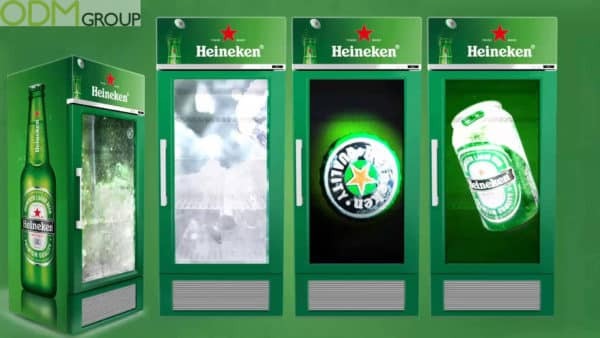 You must be sure that these advertising POS displays are able to build up customer’s loyalty in this case. Through the positive word of mouth, this can lead to more customers who would like to buy things and charge phone at the same time. This will eventually create greater brand recognition and will effectively increase sales. We think that a big POS Display which shows the actual product can be one of the best in-store solutions. A customer doesn’t even need to consider what product is promoted by this POS display. 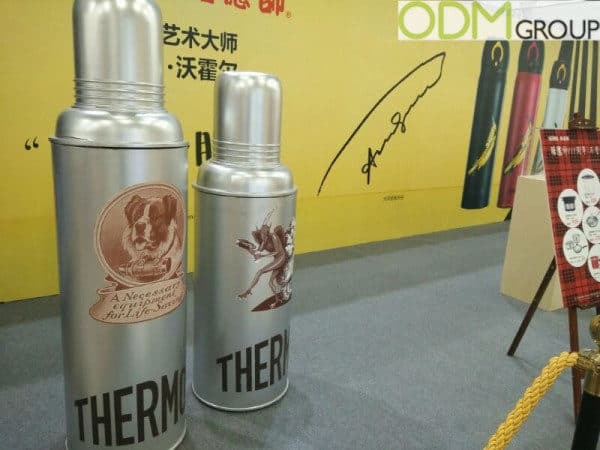 For example, this advertising POS display simply imitates a Thermos itself. Good example of catching eye advertising. In this case a promotional idea can significantly contribute to attracting new customers and also to giving an additional boost to sales. 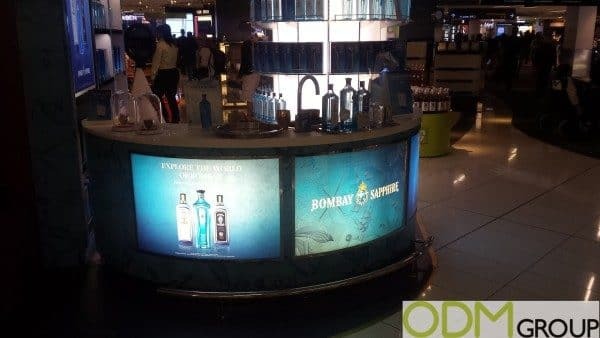 This illuminated LED POS display is a fantastic choice for alcohol brands promo such as Bombay Sapphire and Heineken. Using lighting and imagery you will attract customer’s attention and will evoke the desire to buy a product. Advertising LED POS displays can be placed in the middle of the store, hung from from the ceiling, built into the wall, or cashier desk, or even a fridge!- showing hot offers and branding. There is a great amount of flexibility for it to be applied to any industry or market, so LED display will inevitably be successful and appealing to the new and old customers. 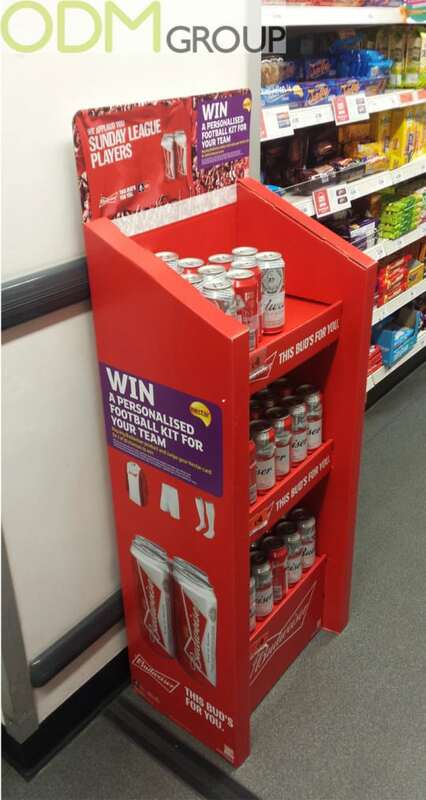 There are good examples of POS Displays placed in supermarkets and shops, targeting the specific audience. Such brands as Budweiser and Nestle like to use this promotional idea. Budweiser attract customers using their vibrant brand colors such as red and white. While mostly targeting those who are Budweiser consumers are football lovers they offer to participate in promo campaign and have a chance to win a football prize. 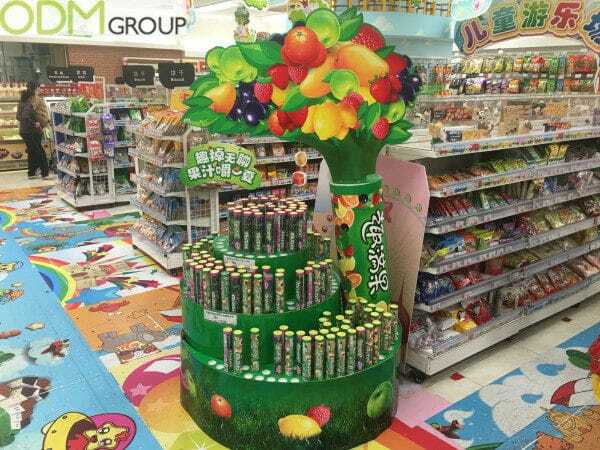 For this Nestle promo campaign, they used bright colors and some excellent images of fruits to helps support the brands overall theme and ensures that the products are out there to be seen. It is fully focused on the audience of kids and their parents. This kind of advertising provides you with big area for brand placement and presence 24 hours a day, 7 days a week. As a result, an effective outdoor campaign can achieve a huge brand exposure. 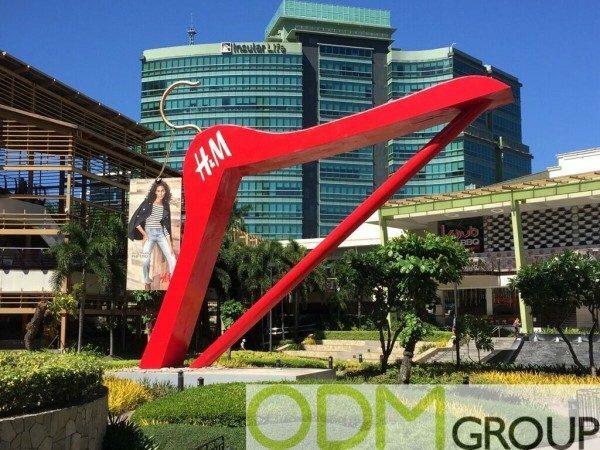 This H&M outdoor advertising is so effective, that can even change customer’s plans and motivate them to visit H&M store. Outdoor advertising like this is extremely memorable. The next time customers will like to go shopping firstly they will remember your advertising and brand. This promo looks also funny and unique, and leaves a finer brand remembrance. Large branding area. POS stand provides you with opportunity to place your logo, slogan, more information about the product, something interesting about the way of production, terms of promo campaign and of course, your product itself. So this is the best way to communicate with customer. Fully custom. Advertising POS Displays are fully customizable and available in any shape, size and printing. They are great to attract customer’s attention thanks to catching-eyes design and big size of promo stand. Brand value. Being a tool for a bright and memorable promotion, POS displays make your brand big and more important in customer eyes. Boost your sales. Advertising POS Display is one of the most significant forces of trade . It is always good to install it in store or at the entrance of supermarket or shopping mall. This will motivate customers to impulsive buying. Here in ODM we can assist you with designing and manufacturing any custom display you might require. Feel free to contact us today for the further assistance.